The studies are more oriented to a broad expertise in various matters of food chemistry, microbiology, and engineering rather than to the knowledge of a specific field of food industry. Such education allows the graduates to solve various issues related to food production, distribution and consumption, food safety, and quality, as well as to integrate speciality knowledge with nutrition, marketing, and management basics. The food science is closely related to mathematics, microbiology, food chemistry, and engineering sciences. The knowledge in all these fields is necessary to a specialist for an effective performance of everyday functions of the food technologist. In this study programme, the theoretical knowledge is supplemented with practical skills which the future specialists develop with the help of experienced food technologists. Through the joint work with them in the laboratories, future food technologists can check themselves and try their first ideas in the practice. Working in a company, the food technologist participates in various activities related to food production, safety and quality, distribution and consumption, therefore, is able to integrate speciality knowledge with nutrition, business, and management basics. 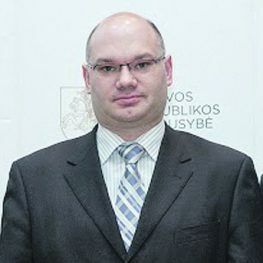 Food industry is one of the most important and largest economic sectors in Lithuania. The employers value the graduates of this programme due to their knowledge of food technologies, food engineering, food chemistry, and microbiology, as well as practical skills. The majority of potential employers are the graduates of this programme themselves. The laboratories of food technologies are provided with pilot – scale technological lines which can be used to model and perform various technological processes. The students of this programme will develop their practical skills in these laboratories through the work with famous food technologists. The specialists who have graduated from the KTU food science and technology studies are demanded among the rapidly developing food business companies. It is important that KTU prepares specialists who have comprehensive knowledge and understanding of food chemistry, biochemistry, microbiology, food engineering, because food technologists should be ready for various challenges. It is encouraging to note that the university established modern food technology laboratories provided with pilot equipment and enabling the possibility to complement theoretical knowledge with practical skills, the future technologists can test their first ideas in practice. After my graduation from the KTU food technology studies, I have associated my career with fermentation technologies. 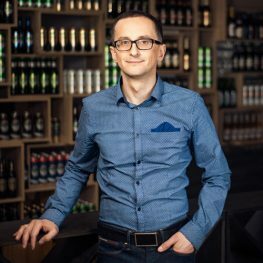 I have been working as a senior brewer in one of the most modern breweries in the Baltic States for over a decade now. In order to create perfect beer, it is necessary to have both – extensive knowledge and creative ideas. The studies at KTU allowed me to gain a solid baggage of knowledge – the understanding of technological processes and knowledge of food chemistry and microbiology help me in everyday activities to ensure that the bear I create will keep stable quality and taste. I am always pleased to return to my Alma Mater and share my experience with future food technologists and assist them to developing their creativity. Technologies and engineering: Design of food and catering companies, organisation of production, knowledge of food industry equipment, processes and systems. – Able to apply principles of good laboratory practice, work effectively both individually and in team, present results of the work orally and in writing, and understand the impact of technological and engineering solutions to the public and environment. – Performance of research works of nutrition, dissemination of their results in scientific conferences and other events. – Control of compliance with sanitation-hygiene standards. – Introduction and maintenance of quality assurance standards and processes. – Processing of laboratory documents in accordance with the regulations on document preparation and storage.